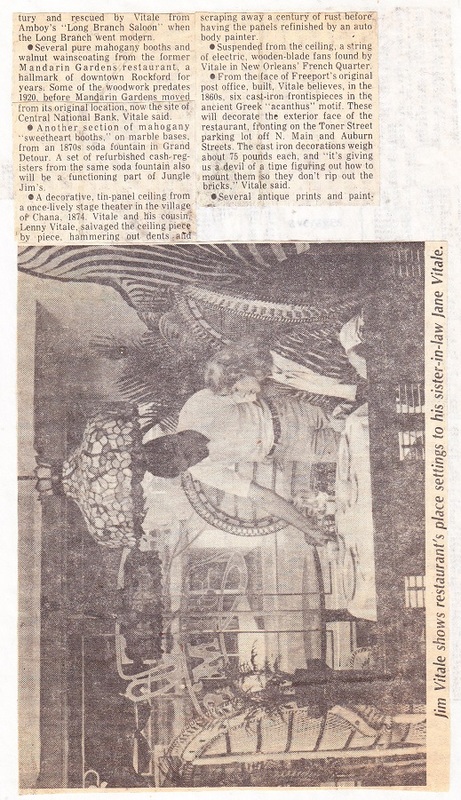 Addresses, Dance and dancers, Fundraiser, General, Hospitals, Motels and Restaurants	1980, 26th Annual Pink Ball, 7801 E. State St., Cindy Jensen, City by the Bay, Dixie O'Donnell, founded in 1945, help children with polio, Henrici's Clock Tower Inn, Judith Conwell, Jungle Jim's, Kathy Castronovo, Oink Ladies Auxiliary, Pink Ball, St. Anthony Hospital, Teresa Tisovec, theme "San Francisco Scenario"
From 1927 – 1929, 1423 No. Main St. was owned by Simon Prescription Drug Co. then in 1930 was owned by Nihan and Niemeter Prescription Drug Co.. By 1935, Nihan continued and Niemeyer did not, but Martin was a new partner/owner. Nihan & Martin owned 1423 from 1930 – 1986. 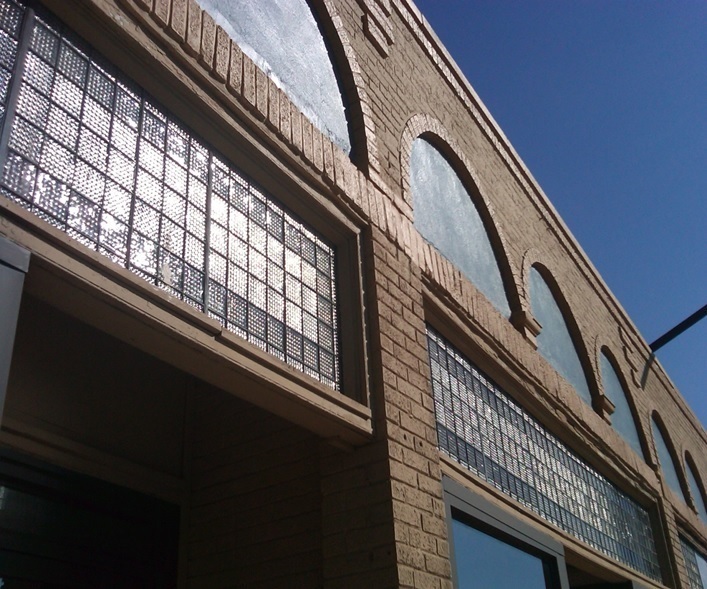 The light brown building is 1431 N. Main St.; . 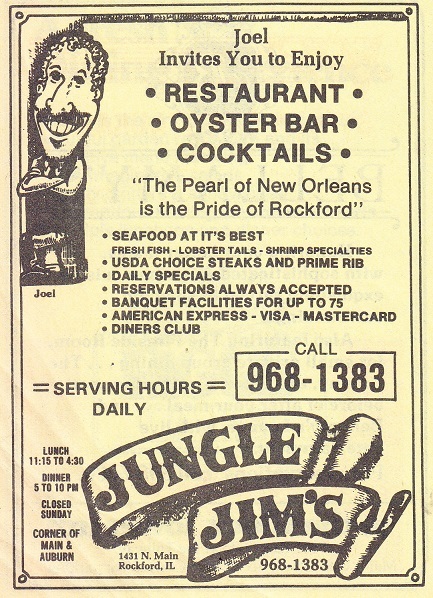 By 1977 Jim Vitale operated Jungle Jim’s Oyster Bar and Restaurant at 1431 N. Main. 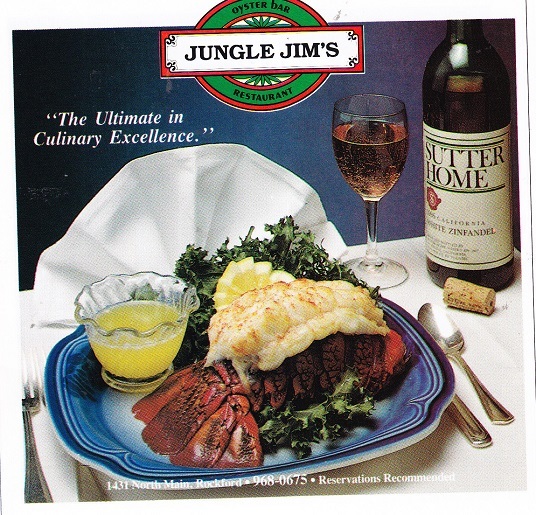 In about 1987, Jim Vitale owned both and in 1990 operated 1423 and 1431 No. 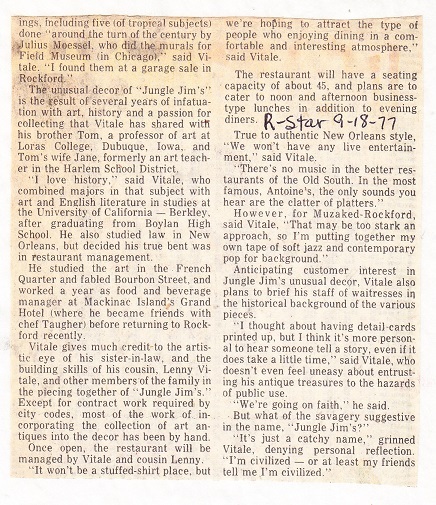 Main St. as one restaurant. 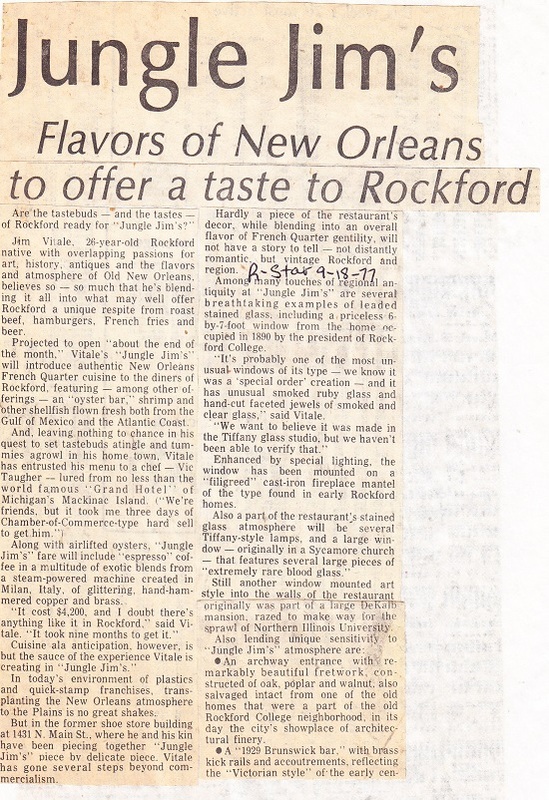 Source: Rockford Register Star Sept. 8, 1977, article continues below. This post is the first 63 years of history at the address.